Special connection heads are available for sanitary and other custom applications. 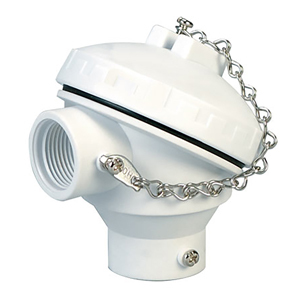 Select from Aluminum, White polypropylene or 316 SS, these heads are available with or without a ceramic terminal block. Terminal blocks feature either two or four terminals for fast connections. Please refer to the specification sheet above for photographs of the individual head types.